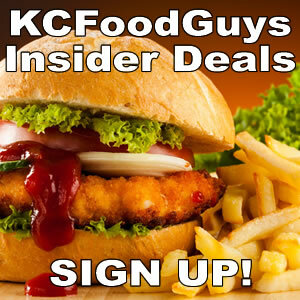 We are enjoying the golden era of dining in Kansas City and KCFoodGuys.com wants to spotlight some of the growing restaurant regions in Kansas City. Look for our series of New Dining Destinations on KCFoodguys.com. KCFoodGuys.com loves the growing food corridor on West 39th street between KU Med and Westport. Each 39th street restaurant option is diverse and features BBQ, Sushi, American Classic, Chinese, Vegan, Cajun, New American, GastroPub and more. The 39th street region includes dinning royalty like Q39, Jazz, and Bluestem. This area is very populous including KU Med students and colorful local young people that gives it the character of a college town. This area is somewhat of a hidden jem because it is void of tourists or the typical snob foodie clientele. Here are some of the great restaurants on West 39th Street. Anna’s Oven at 1809 W 39th St has a great menu of homemade casual comfort foods. Artego Pizza at 900 W 39th St is has great pizza and great specials like Calzone with drink for $7.49 or bottomless wells on Sunday or Momosa on Friday for $15. Bob’s Wasabi Kitchen at 1726 W 39th St is a refined sushi and sashimi spot and a Yelp favorite. Blue Koi Noodles & Dumplings at 1803 W 39th St has some of the towns best dishes like Crispy Tofu, lettuce wraps , dumplings and duck. D’bronx at 3904 Bell St slices up great pizza, salads and sandwiches. Druken Worm at 1405 W 39th St for Taco’s, Taco’s and more Taco’s. Fric & Frac at 1700 W 39th St for lunch specials and sandwiches, several Philly options, gyro’s and great salads and soups. Friends Sushi and Bento Place at 1808 W 39th St for fresh sushi and the famous Bento Box(a custom made cute Japanese platter with compartments that makes it a sampler style plate). Genghis Khan at 3906 Bell St is Kansas City’s original Chinese Mongolian BBQ. Island Spice Caribbean at 10 W 39th St for Jerk chicken, ox tails and ginger beer. Jazz A Louisiana Kitchen at 1823 W 39th St for the best Cajun food in town including great seafood. KC Smoke Burgers at 1610 W 39th St is your hamburger specialist and includes table side smoke burgers. Meat Ball District at 1806 1/2 W 39th St. is the newest restaurant in the neighborhood opening in mid January 2016 and features gourmet meatball creations. Miami Ice at 1624 W 39th St has a sweet shaved ice treat with a surprise custard layer on the bottom. MoBrew at 1403 W 39th St is a great beer house with funky weekly events like trivia night and open mic comedy and includes great bar food munchies like waffle wings. Mud Pie Vegan Bakery & Coffeehouse at 1615 W 39th St has your nut and milk substitute options as a vegan paradise with something for everyone. Po’s Dumpling Bar at 1715 W 39th St for authentic Chinese and made to order dumplings. Room 39 at 1719 W 39th St is American farm-to-table dining, including breakfast, with creative and crafted entrees. Taj Place at 1706 W 39th St is an authentic Indian restaurant and offers a lunch time buffet. Topp’d Pizza at 3934 Rainbow is a super funky pizza express that specializes in 5 minute personal pizza’s. Thomas Restaurant at 1815 W 39th St has something for everyone with staple lunch items, great dinner options and a very cozy bar scene. The 39th Street corridor is a large dining region with many great options. Make sure this area is in your lunch or dinner rotation. Wow, those restaurants sound amazing! Thanks for the reccomendations! “Dinning” Destinations? C’mon – I cannot even get further than the headline without being turned off by a spelling mistake. Pass…..
I’m going to pass on this site because I can’t get past the giant spelling error in the headline. You spelled dining wrong. Might want to fix that. Only one n.